Three new Archdeacons appointed - St John's Church (South Hornchurch) Essex. Saffron Walden, Hinckford, Braintree and Dunmow & Stansted. Southend-on-Sea, Rochford, Basildon, Thurrock and Hadleigh. as the first Archdeacon of Chelmsford. supported in a comprehensive consultation of the Diocese. the phasing-out of adviser posts and resulted in a net saving in 2012.
in Essex and East London. of our large and diverse diocese. "They will be part of a strong and united leadership team. “I am really looking forward to welcoming them to their new posts in September. bringing leadership closer to parishes. mission up to the year 2025.
ministry which will form such an important part of our future strategy. I look forward to working with all of them when they join us later this year." After leaving university Robin King spent six years working for a domestic bank – initially in London and then in Suffolk. He spent two years training for ministry in Cambridge, where he met and married his wife, Katharine. They were ordained together in the Diocese of St Edmundsbury and Ipswich and served as curates in a large parish in Ipswich. In 1992 he took up the post of vicar of Bures on the Suffolk/Essex border – in fact, just touching the new Archdeaconry of Stansted. Since being here, two other parishes have been added, he has been involved in training a number of ordinands and clergy (both stipendiary and non-stipendiary) and has been a Rural Dean for the past six years. Robin and Katharine have two sons, both at university. “I have a passion for seeing the church flourish in rural areas – it’s certainly is no easy option but it can be such an exciting environment in which to minister. The vision outlined in Transforming Presence is hugely inspiring, and I very much look forward to working in the Diocese and with the churches in North Essex to help shape the future of the church at such an exciting time. "I have a passion for seeing the church flourish in rural areas – it’s certainly is no easy option but it can be such an exciting environment in which to minister"
effectively and in genuine partnerships with others. of challenges and opportunities that are facing us all in North Essex. 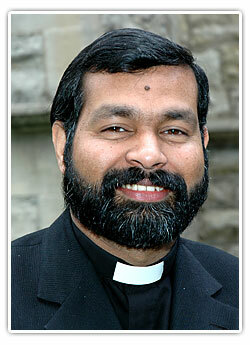 The Revd Dr John Perumbalath is the vicar of All Saints’ church, Perry Street in the Diocese of Rochester and the Diocesan Urban Officer. John comes from the ancient Syrian Christian community in Kerala, South India but was ordained in the Church of North India (CNI) after training at Union Biblical Seminary, Pune. He began his career as a lecturer but then left university teaching to take up the post of Vicar of St James’ Church, Calcutta. 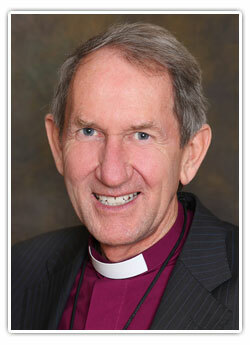 He served on the General Synod and various commissions of CNI before he moved to the UK in 2001. 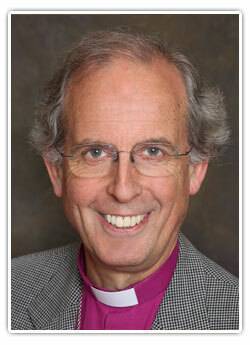 He currently serves as a member of the General Synod of the Church of England, a tutor for the College of Preachers and a trustee of Us (formerly USPG). His PhD dissertation was in the field of biblical interpretation. He is married to Jessy and they have one teenage daughter. 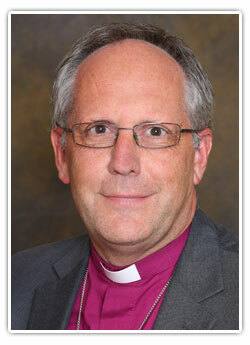 “It is indeed a privilege to have been invited by Bishop Stephen to serve as the Archdeacon of Barking. I look forward to getting to know the clergy and congregations in the Archdeaconry and journeying together with them. "I share their vision of the church being a transforming presence in the world, and I am aware of the social, economic and cultural challenges faced by the communities. I pray that God’s purposes will be worked through our ministry"
"I am delighted at the appointment of John Perumbalath as the first Archdeacon of the new Barking Archdeaconry. As well as making an excellent Archdeacon for these two large and diverse deaneries, John will be a welcome addition to the leadership of the Barking Episcopal Area. "With his experience of ministry in Calcutta and Northfleet and as Urban Officer for Rochester Diocese John will bring valuable insights into cross cultural mission and ministry in Barking and Dagenham and Havering Boroughs. 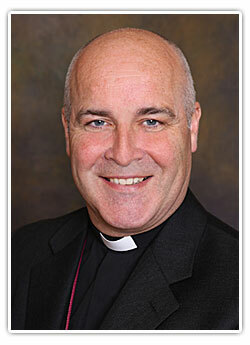 His Catholic churchmanship and evangelical heart will complement the Barking Staff Team. John will be a role model for Asian and Minority Ethnic vocations and senior church leadership as well as offering leadership in the London Boroughs in these socially challenging days. "We look forward to welcoming John and Jessy and their family in September." Before being Ordained Mina Smallman was trained as a drama teacher. Her final position was as an assistant principal in a large secondary school in Brent. Mina is currently a priest at Christ Church on the Thames View estate which is one of the largest regeneration areas in the country. Since arriving there she has worked alongside some of the most dedicated Christians and non-Christians who have worked tirelessly to improve the lives of the people in Thames Ward and the London Borough of Barking & Dagenham. The economic downturn has severely affected the lives of the people in this area. “I am thrilled to be appointed as the new Archdeacon of Southend, against all odds I had a strong sense that God was calling me to this post, despite the fact that I loved being on Thames View in Barking and working alongside the people of Christ Church. “As a wife and a mother I realise just how important it is to encourage your children to do even better than the previous generation and the importance of creating a supportive family life. If we are not careful and attentive to the needs of the people, we will see social conditions deteriorating to that of the 1940 and 50s. My passion has always been for mission, equipping and training and social cohesion and it will continue to be so. “I have learnt that when God wants you to do something you must be obedient, because we do all things in His strength. I have likened my journey in recent weeks to that of Jonah. God asked Jonah to go to Nineveh and he refused and because of this, Jonah ended up in the belly of the whale, not a great place to be. 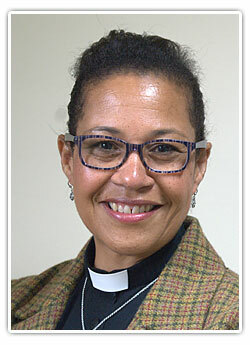 "I have learnt that when God wants you to do something you must be obedient, because we do all things in His strength"
"I am excited to see what new adventures God has in store for me over the next few months and years"
“I am delighted that Mina has agreed to move to the Bradwell Area as Archdeacon of Southend. Mina brings significant gifts in leadership from her time in education and a passion and energy for the Gospel. "The Southend Archdeaconry is an area of great contrasts of poverty and affluence challenging us to recognise the riches those who are poor have to give and the poverty of those who are affluent. 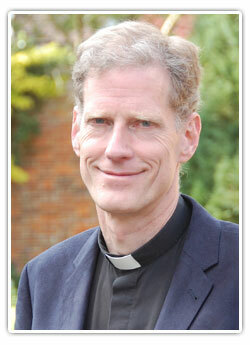 Archdeacon of Chelmsford – The Venerable David Lowman. The new Archdeaconry of Chelmsford comprises the Deaneries of Brentwood, Chelmsford North, Chelmsford South, and Maldon & Dengie. Archdeacon of Colchester – The Venerable Annette Cooper. Archdeacon of Harlow – The Venerable Martin Webster. Archdeacon of West Ham – The Venerable Elwin Cockett.